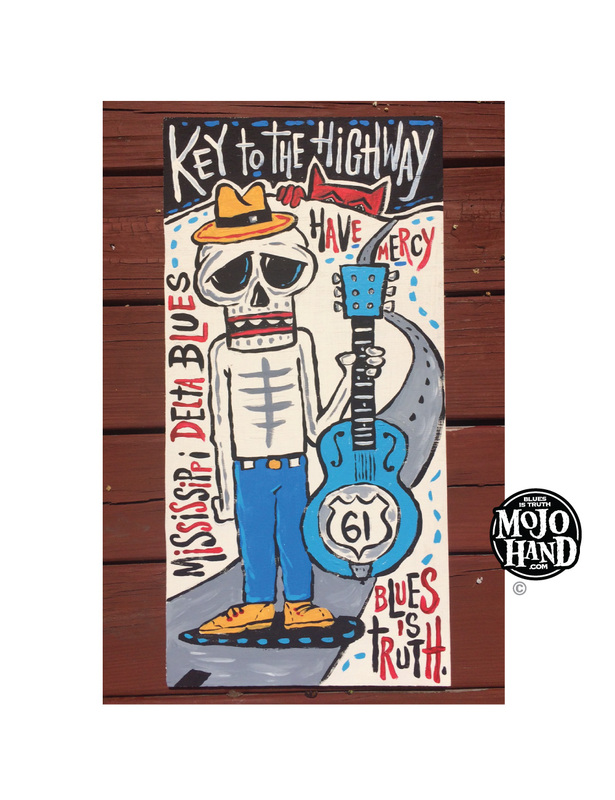 Blues Painting / Folk Art – Key to the Highway – by Grego. This classic Blues Painting / Folk Art piece is 24 inches by 12 inches. Acrylic on wood, ready to hang. Hand painted by Grego Anderson, sole proprietor of Mojohand. One of a kind – Ships Worldwide. Mojohand.com is the world’s largest Blues folk art store and gallery, shipping Blues artwork worldwide since 2001.